Regularly taking care of your teeth and gums may not just save your smile, it could very well save your life. Research suggests an association between periodontal disease and certain types of cancer. Detecting the difference between gingivitis, gum disease, and oral cancer can often be difficult. This article will assist in differentiating between the three. In addition, it will give you all the necessary preventative steps to follow in steering clear of oral cancer, beginning with the control of gingivitis before it gets to its progressive stages. 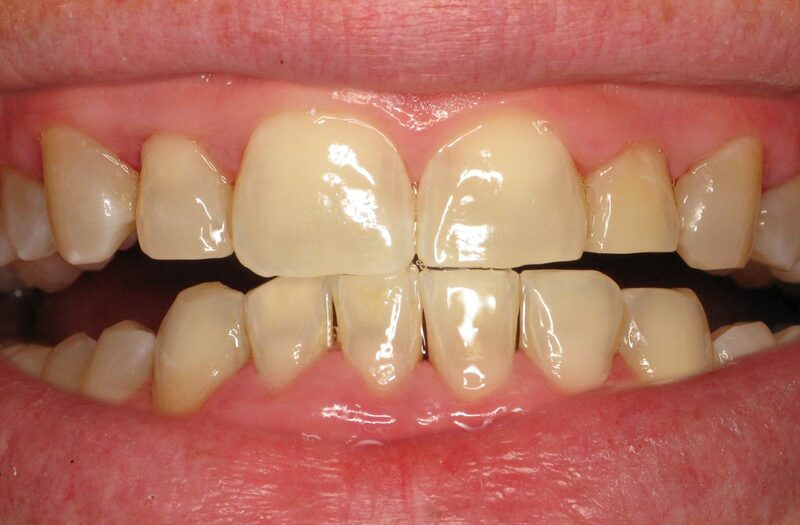 Gingivitis begins as the inflammation and redness of the gums surrounding a tooth or number of teeth. Typically when brushed with a toothbrush, the affected area tends to bleed. Bleeding, in conjunction with inflammation and redness of the gums, are the main signs of gingivitis. 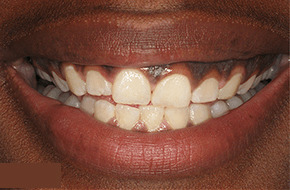 This tenderness, swelling, and redness are caused initially by the buildup of plaque without being cleaned our removed. 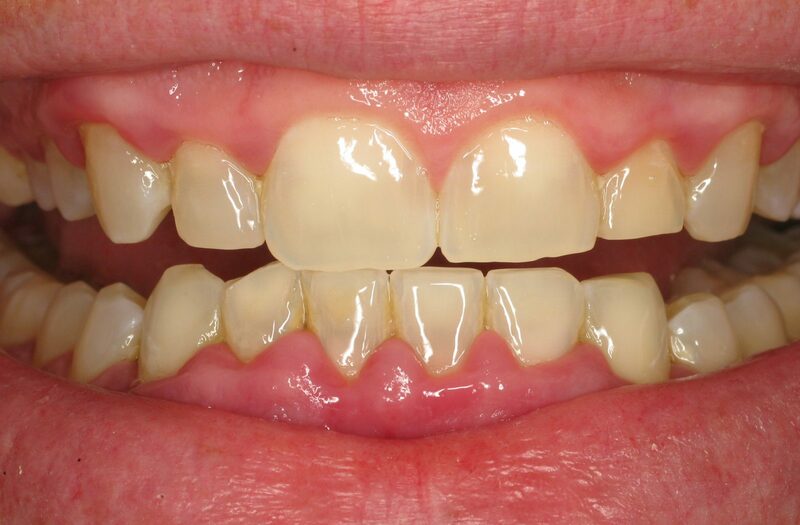 As gingivitis continues to go untreated, it progresses into a more serious health condition. Periodontal disease is caused by the bacterial infection and inflammation of the gums. 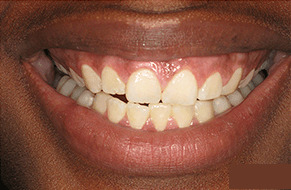 This bacterial infection, in conjunction with gum inflammation, eventually causes loss of bone that supports the teeth. 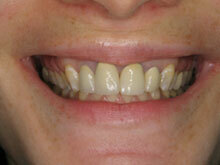 Therefore, a consequence of the resulting bone loss is the loss of teeth. In severe stages of periodontal disease, it is common for the bone to no longer sustain or supports the teeth. Periodontal health and oral cancer both live within the oral cavity. They are directly linked when one’s periodontal health has been neglected or has progressed into some stage of oral cancer. Periodontal disease (gum disease), as explained above, is a progressive form of gingivitis that often leads to Oral Cancer when left untreated. Oral cancer is currently the 6th most common cancer in the United States and in the past 30 years, there have been no significant strides in improving treatments or survival rates of Oral Cancer cases. Why? Studies show that reliable early detection techniques are lacking, and by the time most people with gum disease seek medical care, it has often advanced into early or late stages of oral cancer. Oral lump, lesion, or ulcer on the tongue, lip, or other areas of the mouth. These normally appear as a deep, hard-edged crack in the tissue. While they are usually pale in color, they may also appear dark or discolored. Visit our professionals at Advanced Periodontics & Implant Dentistry — one visit can save your life! Call (212)581-1090 to schedule your appointment. 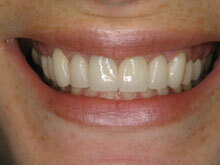 We pride ourselves on being as thorough as possible so each and every patient maintains outstanding oral health. If we are presented with a progressive case of Periodontal Disease (gum disease), our trained and qualified professionals will stop at nothing to provide the patient with an appropriate solution. Oral Cancer screenings are part of our daily routine here at Advanced Periodontics. Schedule your visit and we will take care of the rest.